I obtained a cheerful mood. I smelled homemade apple pie. and halted my silent self-talk. I was pleased to see Christmas light glow. Please join us by writing your entry today, Happy Sunday ahead! 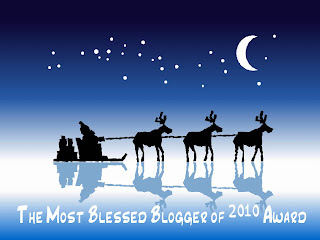 Oh, My, 2010 is slipping away...I started this blog in April, 2010, within about 9 months, I have made so many blogging friends...what a priceless experience! Upon this magical season of the year, I wish YOU all a Very Merry Christmas and A Very Happy New Year Ahead! You Are The Best! Claim Any of Them without my further notification please and Enjoy! I love taking a walk and having quiet time to think so I really felt your poem, Jingle. I hope you and your family have a lovely holiday season! Thank you so much for all your hard work. Reflections... I will give it a try. Great time of year for looking back! Lovely poem Jingle, I do however have trouble getting on to the other site, I joined but have yet to manage to submit a poem. Can't keep track if I came by to say thank you for stopping by my "K" post, but if I didn't yet...Thank you! And if you are interested in entering for a giveaway of the art that I do, please stop by my "L" post. There are various ways to enter, and actually, you get an extra entry already, since you left a comment on my "K" post. If you would rather not enter, not a problem! I still appreciate your comments. Oh this is so lovely Jingle..
A beautiful walk in the neighbourhood..
Jingle: Thank you. Merry Christmas and Happy New Year!! Such a nice mood you've created with yours. Hope your days are merry and bright, Jingle! Thank you, Jingle. Many blessings to you as we celebrate Christmas and the beginning of a New Year. Thank you so much for inviting me to take part in the first place, and then thank you for the reminders, I need them :) I enjoy reading and participating when I can. Beautiful visual...I really liked the last 2 lines...shadow following you and the Christmas light glow...a very peaceful end to your poem and hopefully to your year! I like the shadow following you too. Thank you for this, and the forum. Merry Christmas. Thanks so much Jingle for all you do with your wonderful ways of getting poets to meet and help each other to become better poets. It is always a pleasure to share and read other poets ocntributions to this ever expanding poetry site. Thanks again, take care & have a great xmas & new years. What a lovely idea for sharing poetry. I'm a new follower! Your words are so full of light - I think several lines will stay with me for a long time. Thank you for your incredible positive energy and for being such a great force in the blogosphere! Happy Holidays! Christmas lights shine the brightest in the eyes of children and poets. Children--for they believe in magic, and poets--for they create magic. Jingle, thanks for all your efforts in bringing magic to this holiday season. Thank you so much! Merry Christmas and a happy New Year to you, too. Loved your poem! I really feel like walking out on a dark snowy night now, but unfortunately it's pouring and freezing outside. Well, just another thing to write about! :D Thank you for opening this poetry community's arms to me, Jingle and everyone else who is participating. It really inspires me to write. Thank you so much jingle for all your hard work and encouragement. 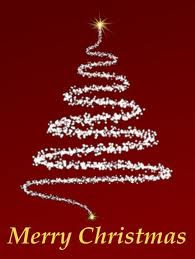 i wish you a great holiday season and all the best in 2011! Taking a walk is truly a wonderful reflective experience. Hope you have a blessed holiday season. Oh I loved your poem!! Thank you so much for stopping by my blog and liking my poem Sweet Longing Love. I was sitting in my studio last night making something and the words just started to come to me. I haven't written anything for many, many months. I thought my creative flow had completely left me. Have a wonderful holiday and I love your blog!! I love taking walks around the neighborhood and reflecting on all the things I see, it is so relaxing. What a beautiful, and peaceful walk I had with you today. Thank you so much for inviting me to go with you. Hope you and your family have a wonderful Christmas season! I love my night time strolls. Thank you Jingle, for all you do to encourage other writers, and all your hard work. I hope you have a wonderful holiday. Merry Christmas Jingle and Jingle all the way! what a beautiful reflection! Thank you Jingle. I count you as one of my blessings for 2010! this is a lovely holiday poem. I wish you a wonderful Solstice, Christmas, New year and beyond. Lovely , I enjoy walking and thinking. Thank you dear Jingle. These awards are instruments of encouragement and appreciate. Thank you for all the awards and the lovely poem about neighborhood walks around this time of year. Happy Holidays to you! Thank for this poem and all of your kind endeavors this year! 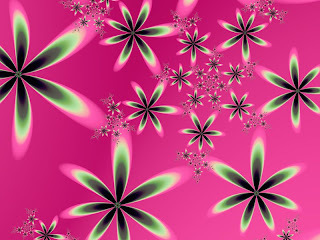 I look forward to getting to know you better in 2011! I want to read your lovely work, again~ Thank you! 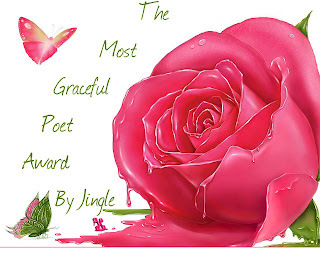 Jingle, thanks for your efforts in the online poetry community. It's been a pleasure reading yours and many others poetry and blogs. Merry Christmas and to the New Year! & Potluck in my life. Love the smell of home-made apple pie! Nicely Christmassy. telepathy- what else can i call it? Lovely walk through fantasy and reality..terrific! Jingle I enjoyed the walk with you. and halted my silent self-talk." Merry Christmas, Jingle--and all the best in 2011. I like the flow and feeling of the reflections here. Thank you Jingle! for your kind words and support and warm welcome back to potluck! Thanks Jingle and happy Holidays to you and yours as well! Thanks, Jingle. Happy holidays to you! Lovely poem for a lovely season. Thanks for the awrds and Merry Christmas to you too dearest Jingle!!! Hi ji...I just want to know are u from san pedro laguna? Here's wishing you a joyous Christmas filled with love and laughter and a New Year filled with hope and joy. Because light will always help us cheer up! This is a lovely, festive, and beautiful poem. Congratulations on the successful blog. Well done and thank you for everything during 2010. My best wishes to you and your family for a vvery happy Christmas and a successful 2011. Loved the poem. Nice idea. thanks for writing and thanks for offering an award- but it won't copy and paste; and I tried what I could think of to no avail...Merry Christmas. JIngle, What a lovely poem - such clear images and involvement of the the senses. I could see the red and smell the pie! Thanks so much for my End of the Year Award! Santa came early for me this year. Thanks so much Jingle... you have a beautiful spirit... and I am honored to have been touched by your spirit. Lots of love this Christmas and have a great 2011. Hey Jingle..might not be able to participate in the potluck this time. Will be away on a vacation tomorrow. See you after I get back. I am amazed at your success as a blogger. I thought you'd been blogging for years. Congratulations. I'm glad that I know you. Thank you, Jingle :) Being a part of this community gives me so much joy! Loved your poem. bless you Ji! :) you are a real treasure for the poets community ;) may all your wishes come true in the year to come! A lovely tribute to the season. Hugs and Happy Holidays to you and your family. Thanks Jingle; grateful as always! Thanks for the christmas present Jingle. :o) I've posted the award to a new awards page I just added to my blog. I hope you have a wonderful Christmas! I love the walk through the holidays and all the sights, sounds, and smells that enrich the feelings. Thank you. Thank you for your continued kindness and support in the community, Jingle. It's always inspiring for someone who writes as a hobby to hear those words. Have a Merry Christmas! Christmas is a time for fairy tales to come true but let us hope that no wolf is waiting for you! Wishing you the warmest most loving Christmas and New Year Jingle Peace be with you. May you gather a little bit of the warmth and love of Christmas, tuck it safely in your heart and give it away at every kind moment in the year to follow! Very Merry Christmas to you and The happiest of years ahead! Good luck in all you do! Thank you for finding me and inviting me to Jingle poetry, precious moments I've shared, I treasure them as very special! 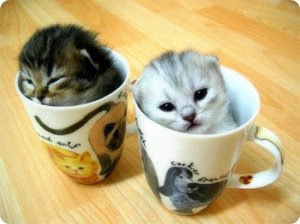 I will accept an award, lovely images as always! Be blessed ji! I enjoyed taking a walk with you and am so glad I was introduced to Jingle Poetry. Thank you for creating a wonderful and open blog. Blessings to you and yours, Jingle.. I started my blog last January, and like you, I have made some wonderful friends from all over the world. I love your poem, and your blog!! What a wonderful idea! I will need to walk through my neighborhood. Enjoyed joining you on your journey. Jingle, so glad to be a part of your poetry family. I wish I could participate every week but my life is so hectic. It's always nice when I do get the time. Much love to you and thank you for all you do. Happy holidays and new year! Lovely awards for everyone -- have a blessed and peacewful time, Jingle. I'll have to participate sometime. I hadn't realized that you did this on Mondays. Thanks for your comment. Merry Christmas. Thank you Jingle! And I too love walking in silence just absorbing the beauty, the sights, the sounds! You're amazing, young lady, shining bright through and through. Merry Christmas, and thanks for the visit. Another awesome poem Jingle, I so enjoy your posts. Thanks for the comment. I hope you and your family have a Merry Christmas. I loved the peom - beautiful. Thank you for the award! Beautiful - as always! I share post your button - thank you for sharing your awards!!!!!!!!! Thanks for all the awards ji..
Merry Christmas to you, Jingle. Thanks for incliding me in your awards. Merry Christmas! & thank you Jingle for making it merrier for us all! I will probably ask my friend to put the words on it again. Would you like it sent back to you with the words? Thanks for everything and on my reflections, you welcomed me into your community and now am hooked. I will definitely be in even in 2011 and those awards you have given should really really be your's. Oh Jingle. You are such a neat lady. I'm so glad you are finding the place you wanted to be in blogland! You are always so positive and it is always wonderful to share your generous kindness. I really enjoy you being a part of Alphabe-Thursday. My very best wishes for a 2011 filled with joy, discovery and friendship. A lovely poem and thanks for the awards. Isn't it nice to walk the neighborhood at Christmas ... and folks you meet are always in a good mood. 55-What Can You Do To Correct The Wrong?